Auto Finesse Glisten is an advance spray wax, which is perfect for those with little time or for treating hard to reach areas. 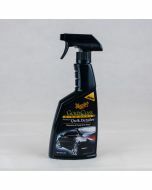 Auto Finesse Glisten is an advance spray wax, which is perfect for those with little time or for treating hard to reach areas. 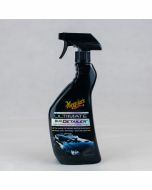 A simple spray and wipe formula that is suitable for all paint finishes, including matte paint and wraps. Ensure vehicle is clean and dry before application. Spray a light mist over approximately half a panel at a time, the spread with a fresh microfiber towel and buff off to a high-gloss shine.